For Valentine's Day, I made a beet cake studded with dried cherries. 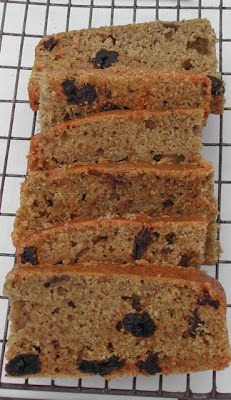 I had a bag of Cherry Medley from King Arthur Flour in Vermont and a can of beets and this cake seemed a natural. I cheated on the recipe and used the canned beets, though freshly roasted beets are much preferred. A 15 ounce can of beets is just enough. Drain the beets and blitz them in a Cuisinart to get a nice consistency as beets can be a bit hard. Don't worry too much if your can of beet mash comes in a little over or under a cup, it should be just fine. Whisk the flour, sugar, spice, soda and salt together to blend. Mix the beets, eggs, oil, and milk. Add the beet mixture to the dry ingredients and blend well. 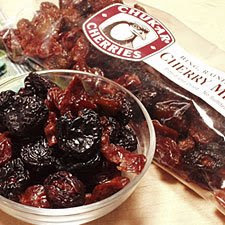 Fold in the dredged fruit. 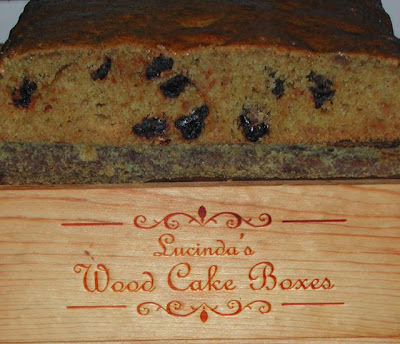 Pour into prepared Lucinda’s Wooden Cake Box. This sweet and tender cake proved to be a hit for Valentine's Day. Beets make a great ingredient in these rich, moist cakes, like carrot or zucchini. You may not think of it but parsnips and summer squash can also work. Don't be afraid to experiment with this type of "tea cake."